Our chimps have a wonderful enclosure including an extensive indoor gymnasium so they can swing to their hearts' content. The chimpanzee enclosure consists of both indoor and outdoor areas for the chimps to roam freely between. The indoor gymnasium or ‘chimpnasium’ provides the group with a variety of opportunities for swinging, playing and even sleeping in the high level hammocks. The enclosure provides a stimulating habitat which is ideally suited to the chimps’ needs. For visitors to ZSL Whipsnade Zoo, large viewing windows not only allow for a fabulous perspective of the chimps’ play area, but also provide a real close encounter as the chimps forage in the bark and log piles adjacent to the viewing sections. This is a chance for any visitor to get an amazing insight into chimpanzee behaviour. It’s very important that chimps are well looked after and have the correct diet to ensure they are happy and healthy. 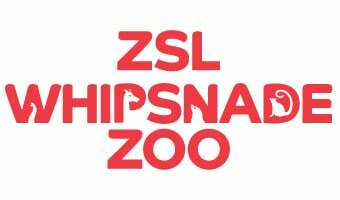 The vets at ZSL Whipsnade Zoo are involved in the training of the chimpanzees to facilitate veterinary treatment. The chimps have been trained to present their hands or shoulders through the bars for injection making treatment much easier and less traumatic for the chimps. Each chimp is also given 350g of pelleted food which is made up of protein, fat and fibre, and meat is offered every alternate day. Dates, sunflower seeds, sultanas and nuts are also scattered in the grass to encourage foraging behaviour. Vitamins and minerals are given in drinks, like a herbal tea!